Craig Macnaughton Craig Macnaughton has been making short films steadily since high school. Screenings include Just for Laughs, The Comedy Network and The Sundance Film Festival, as well as a winner of the CBC Comedy Shorts Contest (2006), the 3rd Triggerstreet.com Online Short Film Festival and was nominated for the 2004 Budweiser Filmmaker Discovery Award and featured in Vanity Fair. 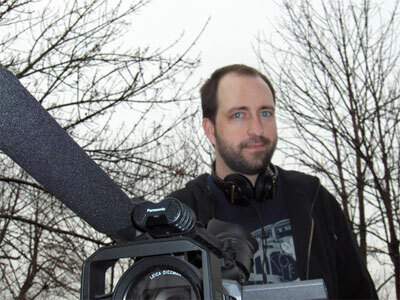 Past projects include the anthology lo-fi sci-fi feature film “Infest Wisely,” where he was one of seven directors (plus co-producer and post-production coordinator), and as a founding memeber of the video comedy troupe All Day Breakfast. Recently he has written and directed the short film "Come Here Go Away" (2011) with the assistance of Filmcoop Toronto, and is developing a comedy horror feature about growing chicken meat invitro and a comedic webseries about a debt collector called "Pay Up". Also a trained visual and multimedia artist and screenwriter, Craig brings his love of the process to any project he collaborates on.